If you are in a long-term committed relationship and you are arguing about chores, you are not alone. 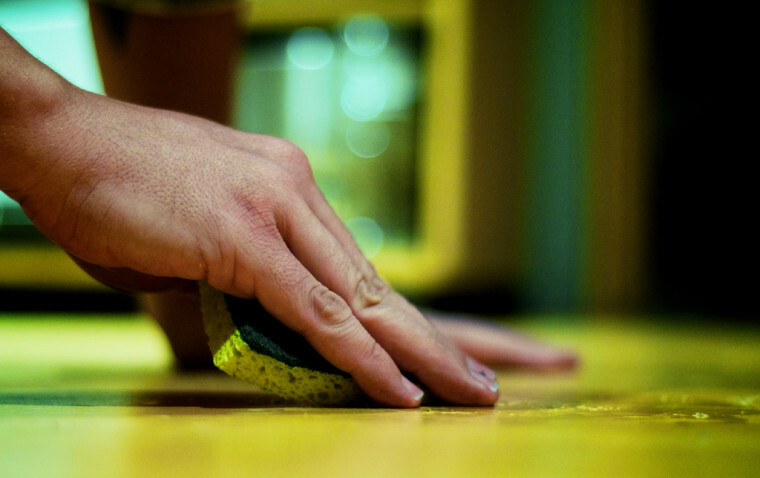 According to numerous reports, 1 in 5 couples have serious “dust ups” about chores in their marriage. And about two thirds of wives and more than half of husbands in one survey believe that they do many more chores than their spouse. We have found that one of the common reasons for relationship struggles around chores is that expectations around chores are not communicated. If you are frequently having your expectations around chores blown, make sure that you have communicated your expectations to your spouse in a way that they understand what you are requesting. Lisa and Dan were struggling so much in their marriage that they came in for a Marriage Intensive. Dan felt like Lisa did not love him anymore and that he really did not matter to her because she seemed to never show any affection or companionship to him. Lisa felt like Dan did not appreciate her duties as a mother and wife in managing the household. When Dan was home in the evenings she was busy with chores and when it was bed time she was fatigued from a busy day of child rearing and house cleaning. As we began to discuss divvying up the chore list, Lisa interrupted with “I don’t believe in chore lists. I can get it all done.” We discussed how that was not working well in her life in her efforts to build the marriage she really wanted and encouraged her to try a new way for about 60-90 days with a chore chart. She agreed and their marriage continues to grow intentionally toward what they have always dreamed. Although rare, we occasionally find couples who are stuck in the 1950s chore delegation system. They believe strongly that some chores are BLUE chores while others are PINK chores (Thanks Nate and Cassie Saffle for naming these). That is they believe men should do certain chores and women should do certain chores. The problem with that type of thinking is that no two spouses grew up in the same home. Our expectations about BLUE chores and PINK chores come from the homes where we were raised. So conflicts arise out of our expectations of the 1950’s chore delegation system. After moving through most of the major family life cycle phases, we believe the most important thing you can do to reduce your frustrations around chores is to negotiate and renegotiate the chore chart. What works in one phase of the family cycle may not work in another phase. Having hard conversations periodically about chores will help prevent your marriage from ending up like Lisa and Dan’s. Schedule a time to discuss chores with your spouse. Complete the Chore List Discussion Sheet and ask your spouse to do the same before the time you are scheduled to meet. Notice that some chores listed may not apply to you while other chores that are important to you are not listed. Use the blank spaces to list chores that are unique to your life. Discover where you are in agreement. Negotiate where you are not in agreement with the goal of trying out a new chore list for a maximum of ninety days. Each of you should commit to chores that you do not want to do in order to reach a fair compromise in the chore list. Remember that your goal is to build the marriage you both want so keep the long-term goal in mind every step. Discuss expectations around individual chores, such as frequency and other expectations. Schedule when you will meet again to review how things are going. Usually it is the length of the temporary commitments. Let us know how it works for you. And if you have any ideas around chores that might help other couples, share them here so others can read!